Introducing our 3 Grand-Prize Winners for 2016! 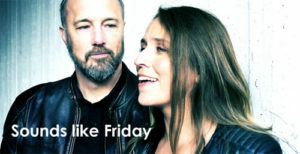 Eddie Grey, Elza & SOUNDS LIKE FRIDAY (Maria Grönlund & Roger Bergström). Each are being awarded $1,000 cash, along with having their music placed directly in front of top industry executives for licensing opportunities. 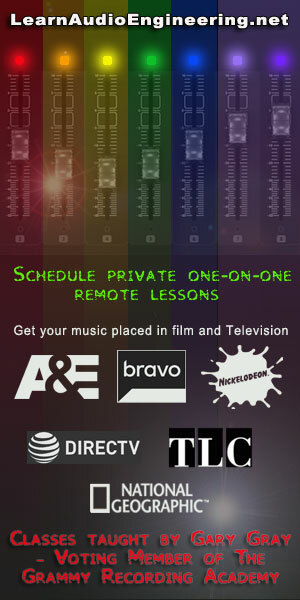 They also receive $2,500 worth of Mixing and Mastering by Gary Gray Productions. Gary is a Voting Member of the Grammy Recording Academy and an Award-Winning Singer-Songwriter. Semi-Finalists will be notified throughout the month of May. As a Grand Prize Winner of the 2016 International Music Licensing Contest, Eddie’s music was Orchestrated, Produced, Mixed & Mastered by Gary Gray Productions, in addition to Eddie receiving a cash award of $1,000. With the help of the IML Contest staff, Eddie completed a 12 song exclusive publishing deal with Megatrax, as well as being hired as the composer of Season 2 of “Born This Way” on A&E. Eddie is the Founder of HIGH FREQUENCY TRACKS and is helping to form a Renaissance in the Los Angeles and Hollywood music communities by assisting up-and-coming composers achieve their dreams as well. As a Grand Prize Winner of the 2016 International Music Licensing Contest, Elza’s music was Orchestrated, Produced, Mixed & Mastered by Gary Gray Productions, in addition to Elza receiving a cash award of $1,000. Elza’s song “The Other Side” has been accepted for priority shopping by two Music Supervisors so far and received a “10 out of 10” rating by several Industry Executives. Stay tuned for more good news coming soon regarding Elza! Elza is unique as her name. Her disarming combination of strength and vulnerability can be attributed to her unusual upbringing, growing up back and forth between her father in Frankfurt, Germany and her mother in Charleston, SC. While in South Carolina, after being exposed to live jazz, blues, gospel, folk and blue-grass, Elza traded in her flute for the guitar and began writing her own songs at the age of 14. Her powerful songwriting and soul-stirring vocals gave her the opportunity for more than 30 of her original songs to be featured on the CW’s “Smallville”, ABC’s award winning medical documentary series: “Hopkins” “Boston MED” & “NY MED.” Elza has shared the stage with Bob Weir of the Grateful Dead, Charlie Colin of Train, Martin Sexton, Jessica Simpson and Andrea Bocelli. Elza is a riveting live performer who will entrance you from the first note till the last. TWO TIME WINNERS of the International Music Licensing Contest, SOUNDS LIKE FRIDAY’s music was Mastered by Gary Gray Productions, in addition to SOUNDS LIKE FRIDAY receiving a cash award of $1,000. Stockholm-based Swedish duo Sounds like Friday creates alternative pop/rock with elements of experimentalism. Roger Bergström and Maria Grönlund define themselves as happy genre anarchists, with backgrounds in avantgarde art music, gospel, rock, classical, fusion, jazz, funk, singer songwriter and pop. With the help of IML Contest Staff, SOUNDS LIKE FRIDAY released their most recent EP, “You Put Songs In My Head.” The EP is being released on the phenomenal X5 Music Group Record Label. Maria and Roger are featured in Alexander Ekman’s and Mikael Karlsson’s critically acclaimed ballet Midsommarnattsdröm, which comes up again at the Royal Opera in Stockholm in the early autumn of 2016. If you’re in Stockholm, be sure to witness this amazing spectacle, which Jan Gradvall named one of his life’s three best scenic experiences and Per Sinding-Larsen described as among the best he had ever seen! Maria and Roger are placed to the left of the stage, in the “Sällskapets loge” balcony with their laptops, Ableton Live, Push controllers and iPads and perform live sound processing and sound design in realtime. Congratulations to our winners, as well all who submitted music! ENTER NOW! The International Music Licensing Contest exists in order to help Independent Musicians reach their music licensing goals and dreams.